Special thanks to BionicBob, DwightFry, and L8wrtr for their invaluable patience and assistance during the edit. Without you guys I could never have got to the finishing line. Finally, to my lovely girlfriend, Sophie… without your unbelievable patience and support I would never have come this far. - Far too extensive to list everything. I use some footage from nearly every episode of season 1 – in many instances scenes will be moved around quite substantially. For example I would take a scene from say episode 9 and place it just before a scene in episode 13. As long as it helps assist and move the story on, the attitude I had was that anything goes. - Many scenes had one or two “lines” of dialogue removed because they either referenced the “meteor freak of the week”, or mentioned something or someone which I had already cut from the edit. - There were 4 key episodes which were used to develop elements and characters which I felt integral to the “destiny” subtitle I placed on the edit – “Pilot”, “Hourglass”, “Stray” and “Tempest”. I also used the majority of the second season’s opening episode “Vortex” which helped bring a satisfying conclusion of sorts to the story. - All references to Lana’s kryptonite necklace have been dropped. Nothing wrong with the principal, but I just felt it was unnecessary to this edit and didn’t help develop the story or characters at all (well, that and the fact that I hated the way it was used in the “Pilot” episode as a tool for Whitney to childishly get at Clark). Also purposely refrained from mentioning the meteor rocks too much, the intention being for the finale to have more impact and perhaps an element of surprise. - Completely cut the recurring character of Victoria as played by Kelly Brook, primarily due to her awkwardly wooden performance but also because Lex has far more interesting and important characters he encounters in the season. - Colour corrected a shot on Clark from the opening scene at the care home from “Hourglass” (it’s not perfect, but it still looks more like the rest of the scene than the original shot did). - Numerous scenes had to have their background sounds rebuilt from the ground up. This was to make scene transitions smoother and also when I wanted to use different music than that within the original version. One prime example of this was the vast majority of the opening meteor storm which hits Smallville. I use a piece of music by Jerry Goldsmith for this title sequence rather than Mark Snow’s original score, which meant taking out a lot of the original source audio track (where the original score could be noticeably heard) and replacing them with sound effects which I found from the Freesound project. I would recommend this edit if you are already a big fan of the show or your S.O. 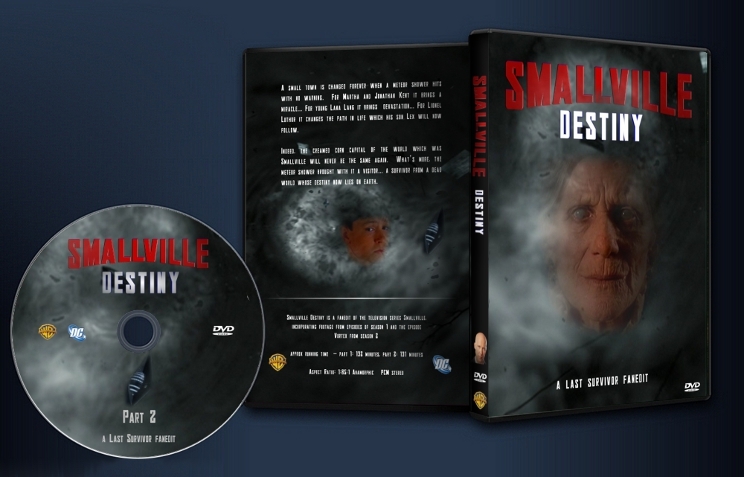 wanted you to catch up on season 1 of smallville. The video quality was good and the added contrast to the video gave the movie a more serious look. The increased color gain wasn't overwhelming and added to some of the scenes emotionally which was nice. One thing that erked me about this edit was that it was just ever so slightly sped up. I don't know if this was intentional or part of the source translation by chance, but it is something that is often done to films that are too long/slow. It really bothers me because It makes everyone sound like they are huffing helium. If it wasn't for that, I would say it was beneficial in that Smallville does tend to be a little bit slow at times. If the audio pitch could haven be compensated, it wouldn't have bothered me as much I don't think. The very beginning of the edit is a very good origin story plot with a very classic pacing. Some where in the middle of part 1, it became very much a series of sort order episodes. Part 2 seemed to be a stringing together of the "tempest/vortex" story with only very light editing. While there is nothing wrong with this, it just seemed like it's own separate edit from part 1 because they are so different in style. The narrative does not veer from the Smallville storyline in anyway that I could tell. The "Comic book" stills were a really good idea that played well in the opening credits. But I often felt that they would sometimes miss that "snap shot" moment and instead would freeze frame after the moment was gone. It would have been really good to use that effect to break up the many "chapters" in the edit, but alas, that did not happen. The tech side is great. A/V quality is as good as the source material (which isn't that great to begin with). The editing was top notch throughout. I was let down though because it was just too long for my tastes and I was bored easily by it. Maybe if I was more of a fan of Smallville I would have enjoyed this edit more. As it stands I don't really have any strong desire to see the next installment of Smallville (be it watching Season 2 or watching a hypothetical Part 2 fanedit). 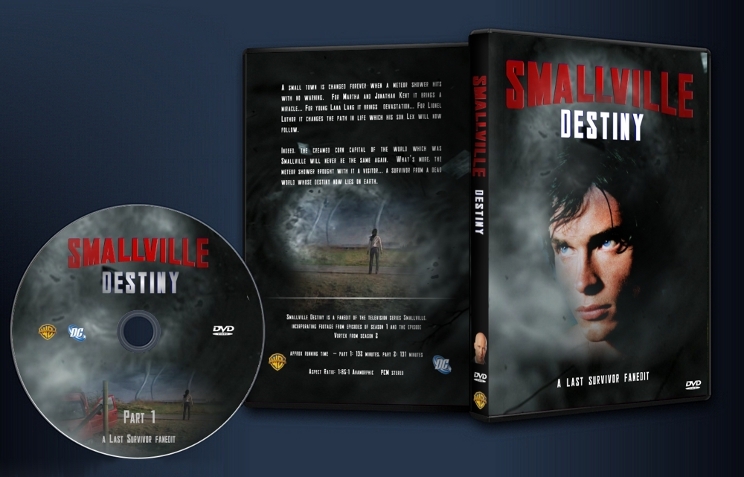 So if you're a fan of Smallville you'll hopefully like this. 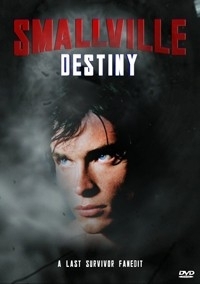 If you've never seen Smallville before I don't really recommend it to you. This was a series I loved right away and was excited when I heard it was going to be made, but I will admit that the "freak of the week" formula did become, well, formulaic pretty quickly. Since I can still watch the episodes as-is, of course, this is a very welcome alternate version of the first season, and would definitely be my preferred viewing option overall. Technically, everything is top notch, and all the story decisions made were sound. Even if something seemed odd at first, it was soon explained, so no problems there. Leaving a couple of the "freaks" in made sense from a character development standpoint as well. Thanks Ripplin. Really glad you enjoyed the first fanedit I ever did :) Really appreciate the generous and high marks. I'd love to do a sequel but I seriously don't have the time at the moment (cue the violins).